Stand a chance to win Over Two Million Big Points in Air Asia Open Door Campaign in conjunction with its 16th anniversary Celebration. Its a really uniquer challenge runs across Malaysia. How to win AirAsia BIG Points Open Door Campaign ? Thats all....only 3 steps and you are on your way to win over two million BIG Points! The challenge starting from today until 14 January 2018. I could say this is one unique challenge activation to the public. Participants can also earn more points through other online activities such as share, vote, gain votes to move up the rank. At the end of the 4 week contest, Top 186 contestants will stand a chance to win a Grand Prize of one million BIG Points. 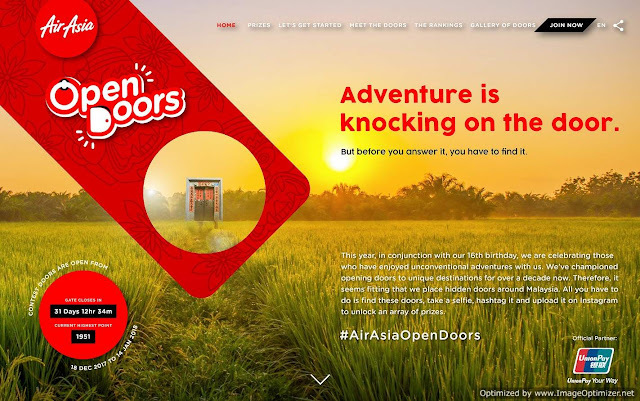 Interested participants can visit opendoors.airasia.com for more information on the #AirAsiaOpenDoors campaign challenge. New flight to new place? Super cool! Really everyone can fly everywhere..
Oh my, I want to play! One can never have enough of AirAsia points! Good luck to us! That sounds really exciting and fulfilling! I will check this out. Wow! That's fun and all the best to the participants. This is an interesting one. 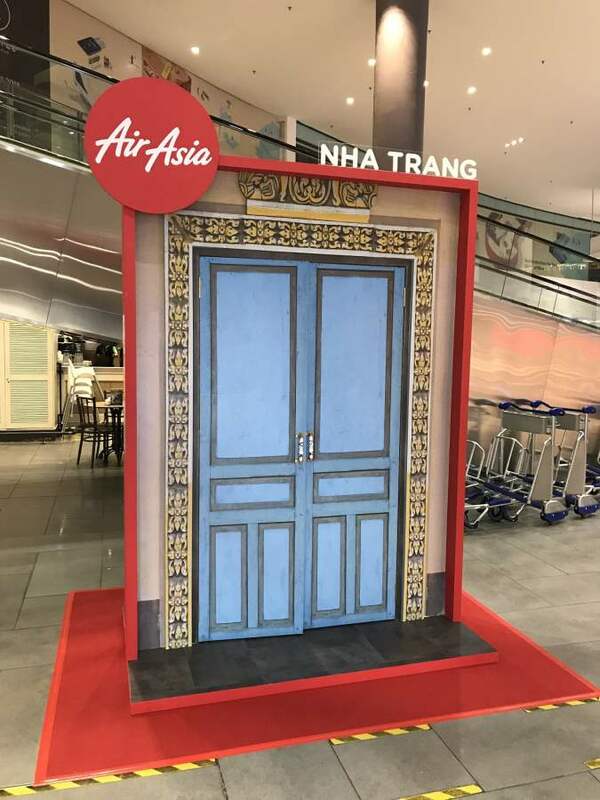 AirAsia is always creative with their campaigns.